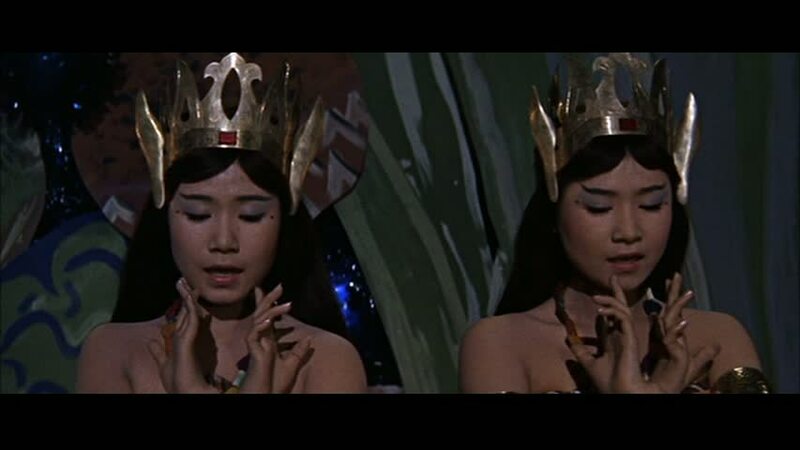 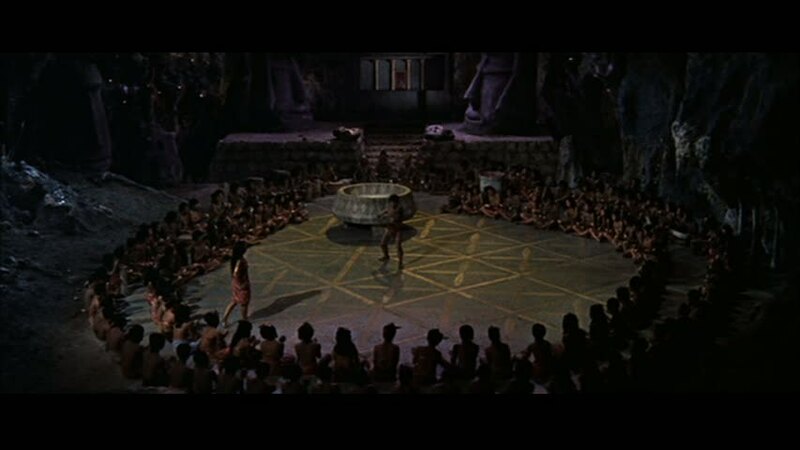 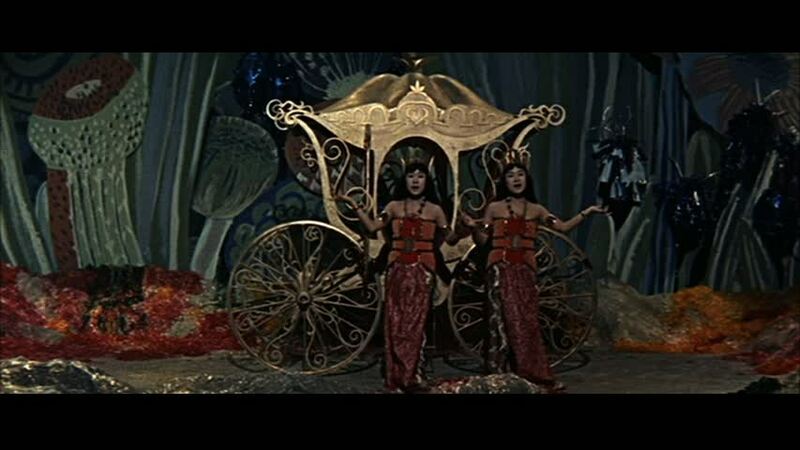 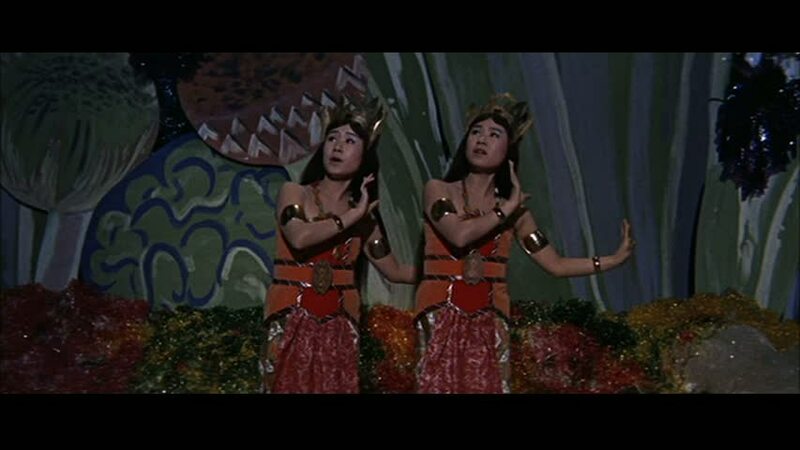 There's a weird, sometimes silly, sometimes quite moving, beauty in 1961's Mothra. 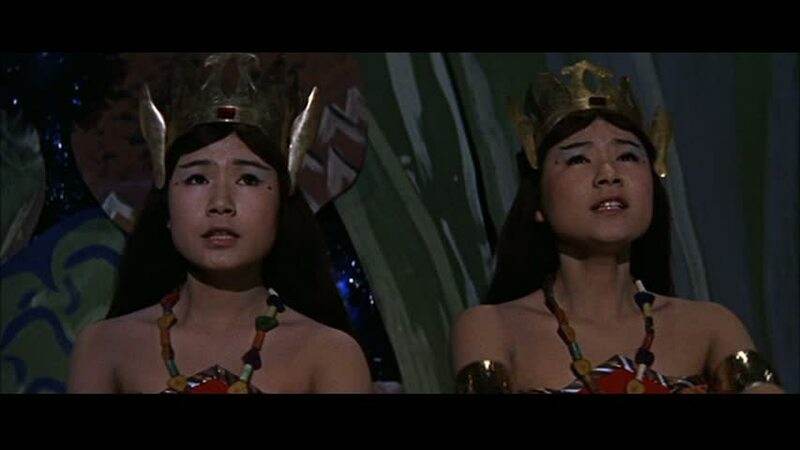 This tale of an unscrupulous nightclub promoter (Jerry Ito) kidnapping the twin "tiny beauties" from Infant Island and then letting society suffer the consequences is part-fairy tale and part warning. 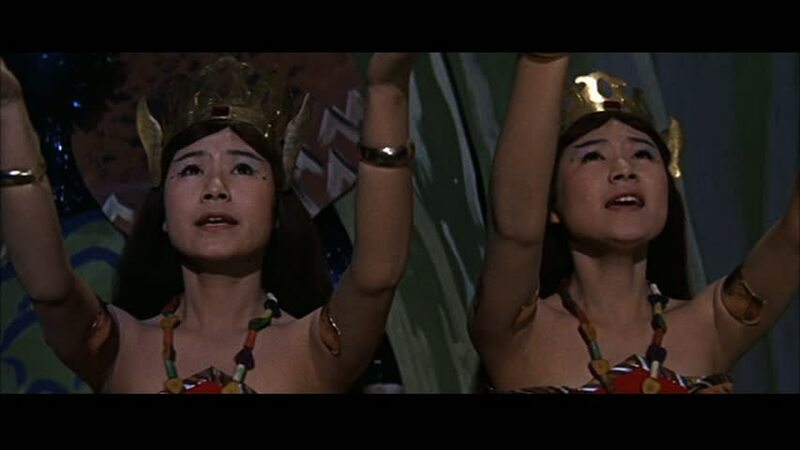 Eiji Tsuburaya biographer August Ragone provides some concise background on the film here. 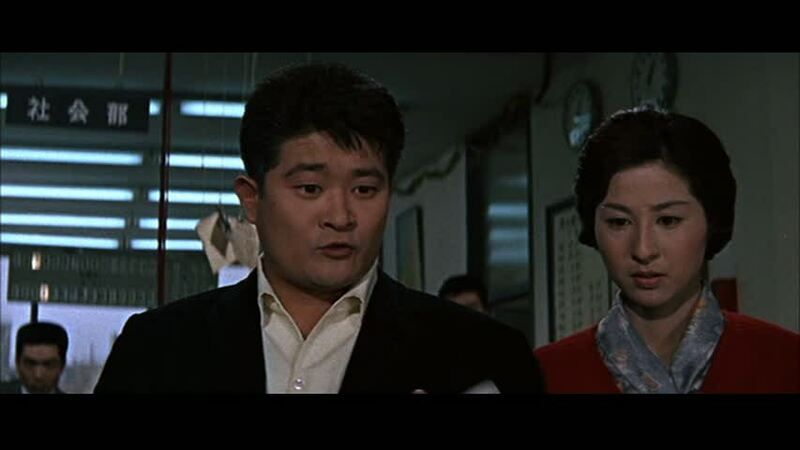 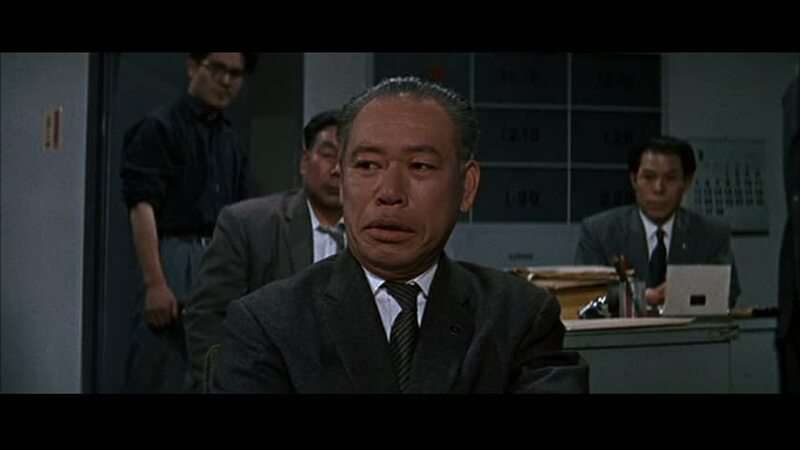 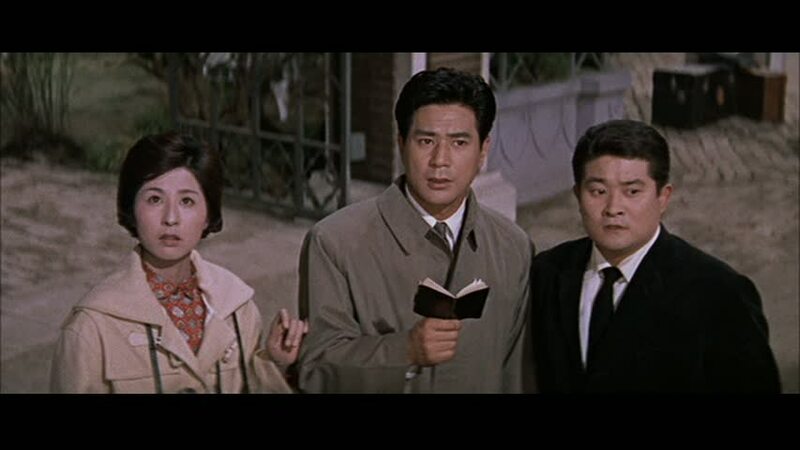 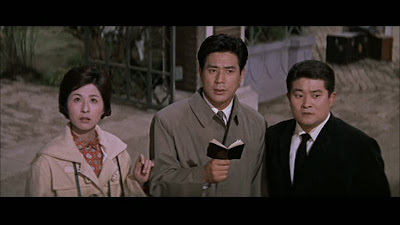 Furanki Sakai, as journalist Fukuda, shines in a Buddy Hackett-fashion and he joins Hiroshi Koizumi, as Dr. Chujo, and Kyoko Kagawa -- the madwoman from Kurosawa's Red Beard (1965) -- as a plucky photographer who serve as the collective voice of reason in the film as they follow the captured princesses and promoter Nelson around Tokyo. 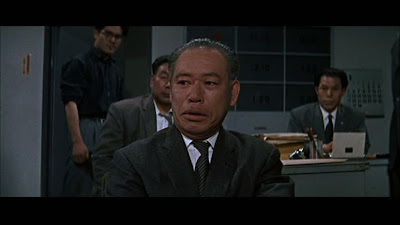 Add Takashi Shimura as the newspaper editor to the mix. 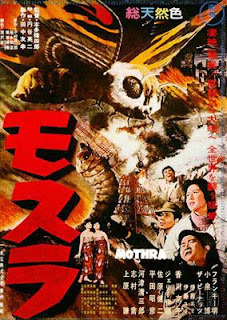 Mothra takes its sweet time hitting its marks -- at least in the longer 100-minute Japanese cut of the film that I viewed -- and that space is appreciated as it only adds to the charm of the film. 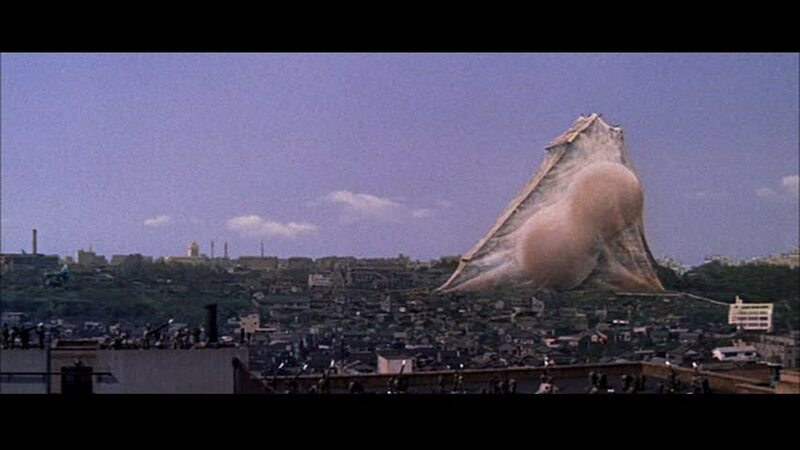 The little moments here create a set of largely believable characters and the bumbling-but-sincere Fukuda gets to be a real human character and not just the comic relief he is in the US version -- he even saves a baby as the larval form of Mothra wrecks a dam in Japan. 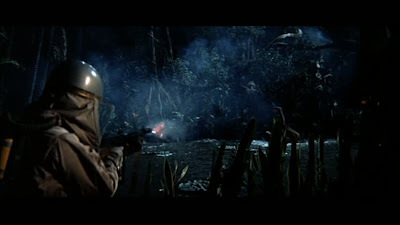 Before all that, the film shows life on Infant Island and, in a disturbing sequence, Mr. Nelson shooting the dark-skinned natives in a set of images that look like the ones we'd see later in the decade of the 1960s from Vietnam. Nelson is not using napalm on the extras but the meaning is the same: he tampered with the innocents of the world and mankind has to be prepared to suffer the payback. 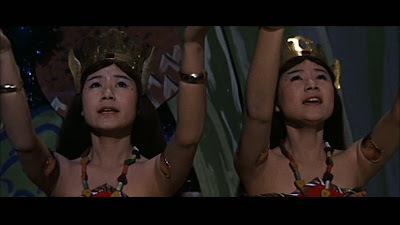 The natives and their red juice-drinking exploits as they attempt rouse Mothra prefigure similar sequences in 1962's King Kong vs. Godzilla. 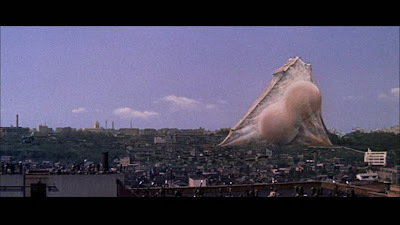 Later, after Mothra has used Tokyo Tower as a resting place for his/her cocoon, Nelson escapes -- again -- with the Infant Island princesses. 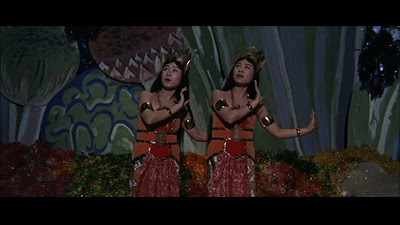 Really, those little girls -- singing duo The Peanuts -- don't have to do much but look concerned and they succeed admirably at that. 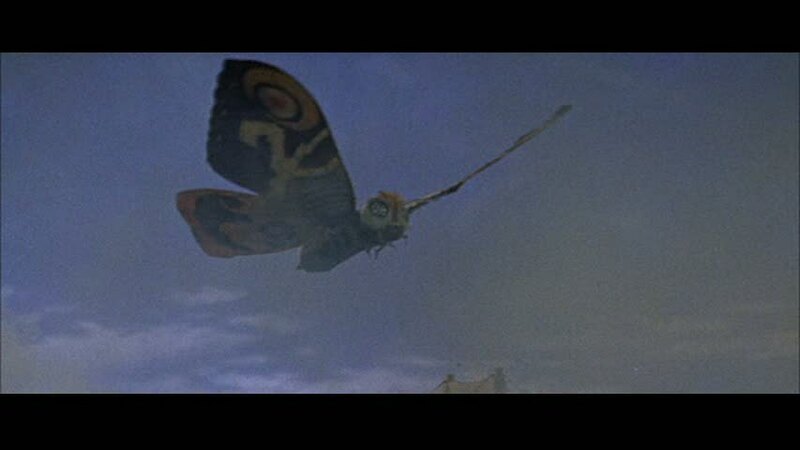 There's something moving about their plight and a viewer can't really fear the flying, butterfly-like Mothra as much as respect its wrath. 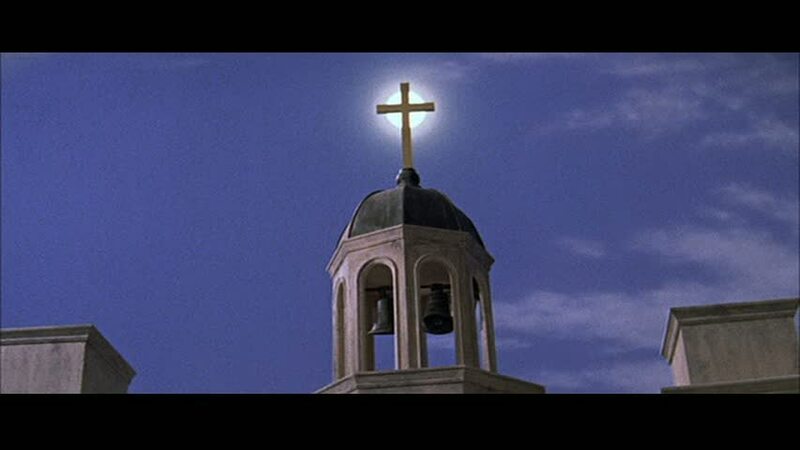 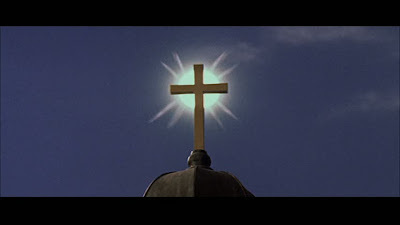 Interestingly, the ending involves a weird mashup of Shinto and Christian imagery as Dr. Chujo sees the sun behind a church's cross in the country of Rosilica (where Nelson fled) and then instructs the army to draw the symbol on the ground. 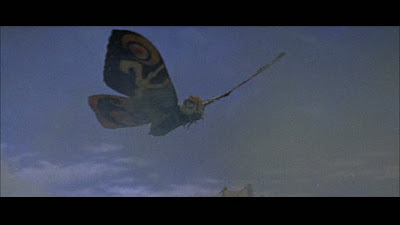 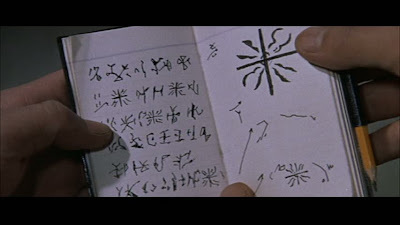 Seems the symbol is something from Infant Island and -- for whatever reason -- causes Mothra to chill-out and land and then take the princesses back to home. 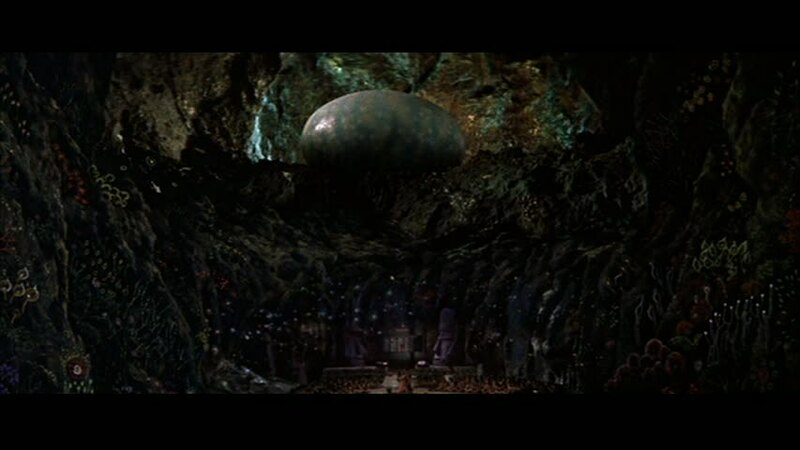 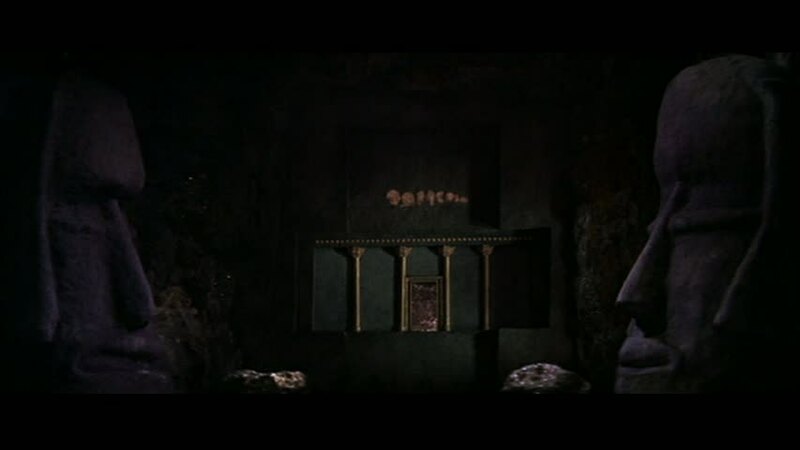 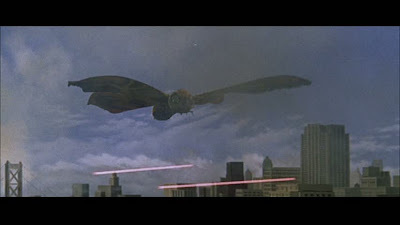 Mothra is almost like a trial run for better, more concise Mothra sequences in later films, like Ghidorah, The Three-Headed Monster (1964), but at the time the film was most likely a risk for Ishiro Honda and Toho Studios. 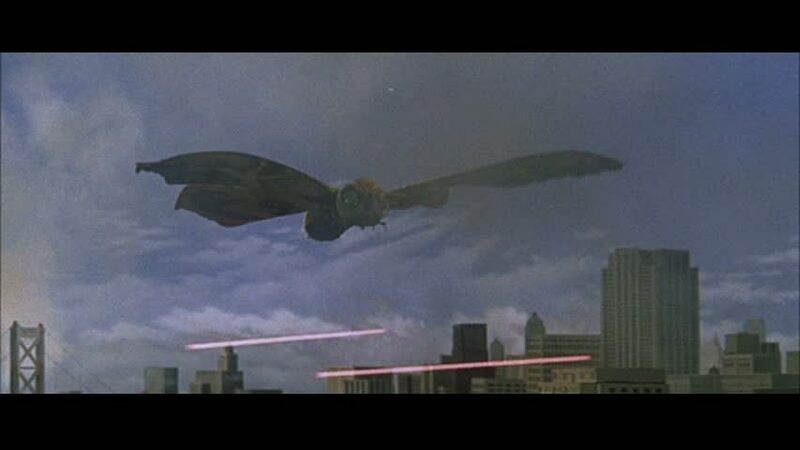 I can't imagine the introduction of the fairy tale elements was an easy sell to the studio as Mothra, while a cautionary tale, doesn't strike fear into the heart as much as the earlier Godzilla films tried to do.